A view from far above the Temple of Earth in Deepholm is what we have today. 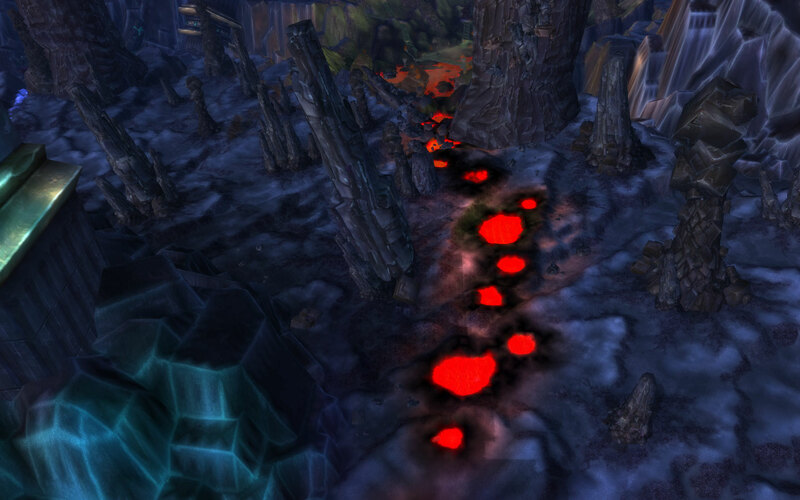 The path of blood pools from Deathwing’s wounds has scarred the ground forever. 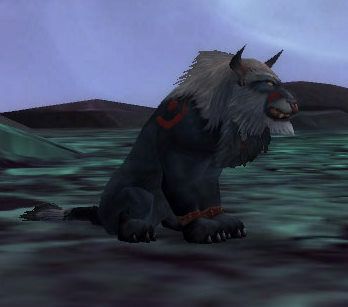 Plus, it looks pretty cool. 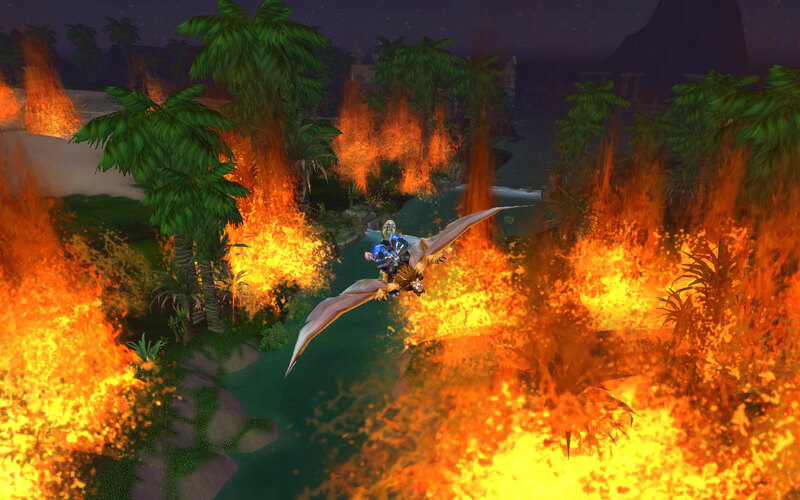 Flying around doing archaeology one day, I was passing through Uldum and was wondering why it was on fire. 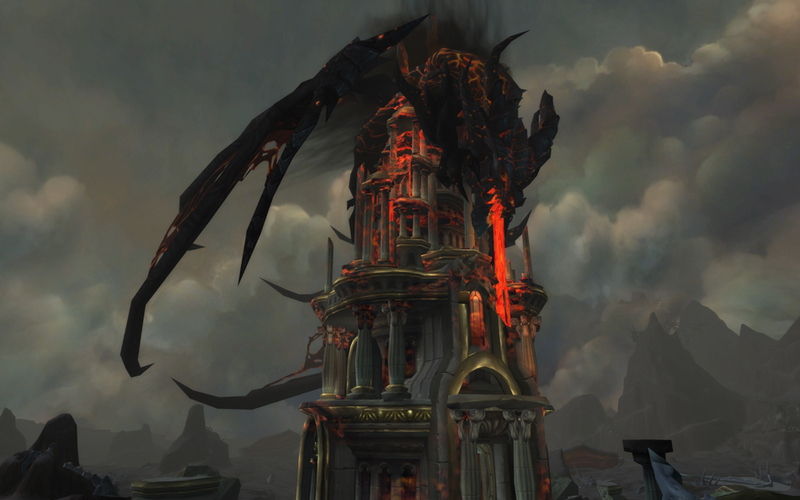 There are times I’m not very observant, but the last time I checked I was at the south end of Kalimdor and not by Blackrock Mountain. 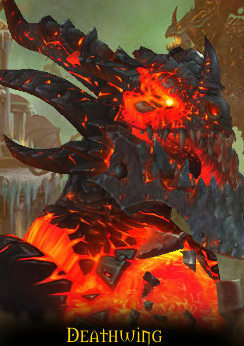 Deathwing had apparently just been through, and had unleashed his swath of destruction. I would be upset, except for the fact that he roasted me a while back.